Could not get much better overall on our trips the last few days. Overall just some great tuna fishing mostly on the jigs and chunk. We caught many of our tuna hand feeding butterfish on the surface but if you could catch live squid it took less than 30 seconds to get a bite. We did have to contend with an armada of boats on Friday night but still were able to catch some very nice size Yellowfins. Most of our friends that journeyed down to the Washington Canyon did really well also especially earlier this week with a lot less boat traffic. It sure is nice to see those 70-90 lb. plus Yellowfins show up in a Southern Canyon within reach of many of the South Jersey, DE and MD ports. We have open next weekend and right through October 9th if any groups would like to take them out for the Big Eyes and the large Yellowfin. If you are a single or have a small group contact us as we plan to run some make-up tuna charters as soon as the weather cooperates. 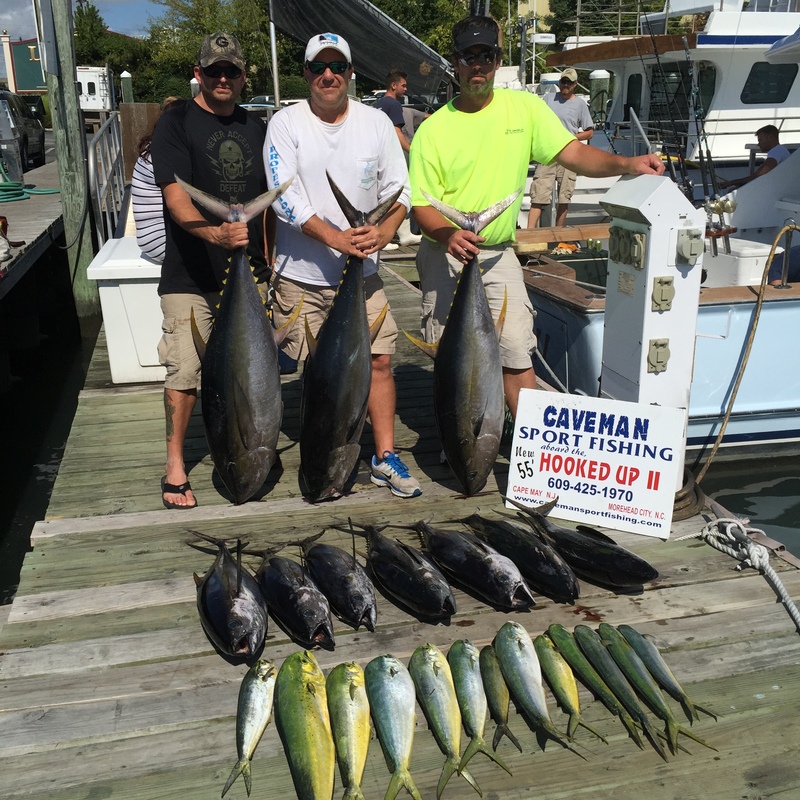 Would like to congratulate Capt Phil from Duck Work Charters on another fine trip. 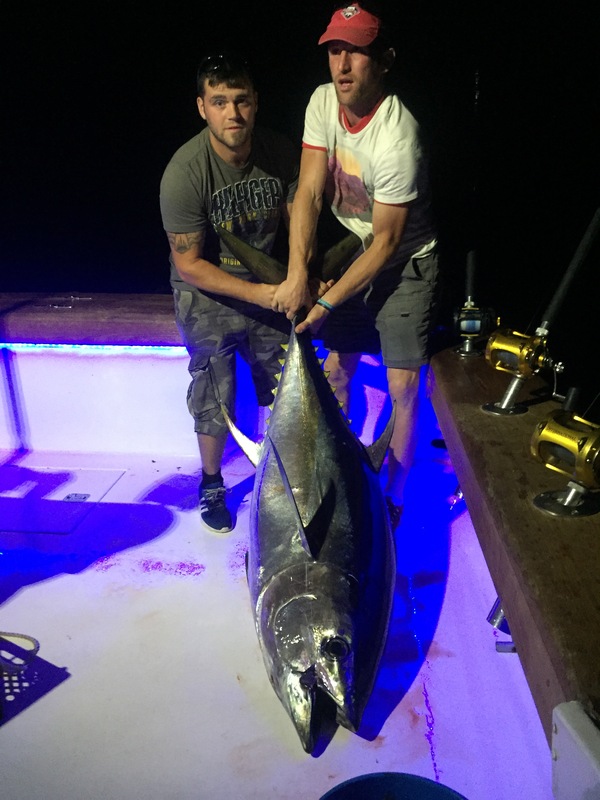 Capt Phil and I always work together to help provide our customers with the best tuna fishing possible and we always appreciate any assistance from Phil. When the weather improves it looks like we may have some excellent canyon fishing coming up in late September and October for those that want to load up their freezers with tuna.